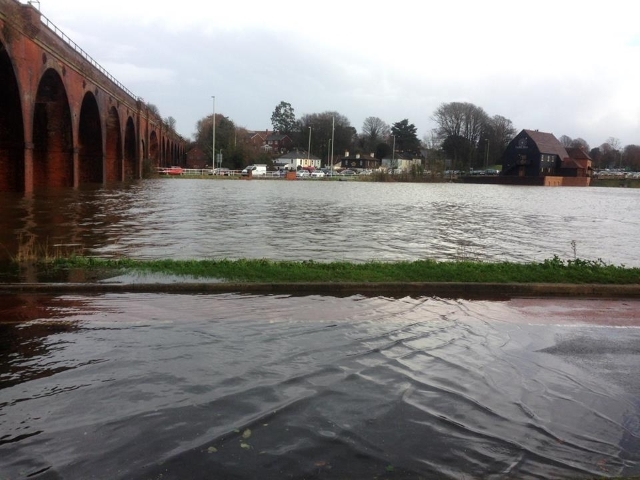 Being based at the end of the River Wallington, Fareham has been prone to flooding for a long time. 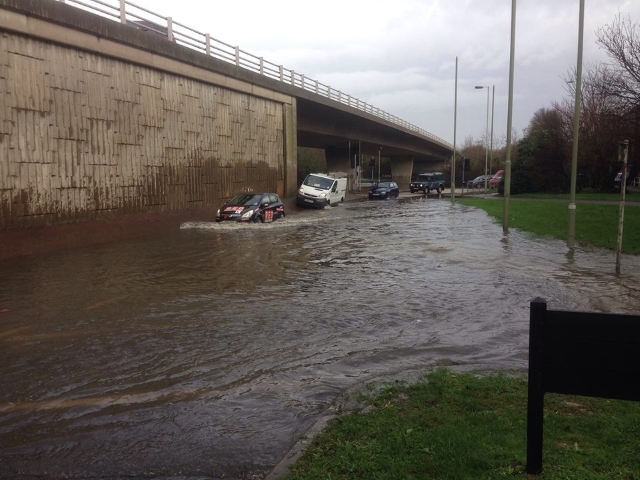 High tides in Portsmouth Harbour have been known to mix with heavy rain from a few days previous, causing the tidal section of the River Wallington to burst its banks. Although the flooding has always been a problem, it used to be easy to predict which fields would flood. The construction of the M27 in 1976 and, in particular, Wallington Way in 1981 caused the path of the river to be altered significantly from its natural course. 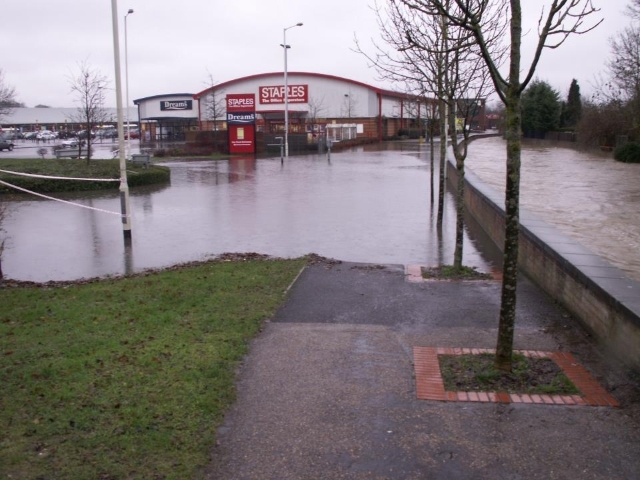 In addition, the Fareham Industrial Park around Standard Way (1980s) and more recent housing developments have dramatically reduced the size of the floodplain available. 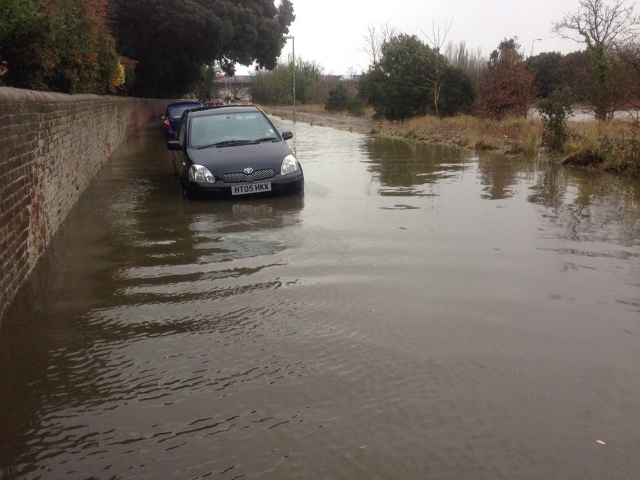 Until December 2012, Fareham's flooding had pretty much been a local secret, as the flooding often happened at night and the media were more interested in events elsewhere. However, this took a dramatic change in December 2012. 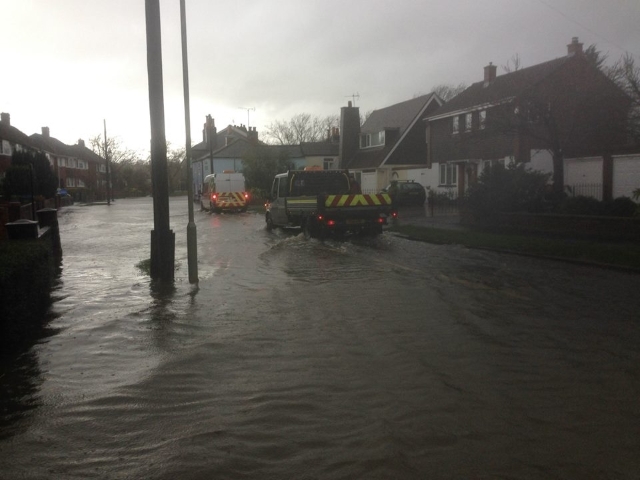 Thanks to social media and the need to fill 24 hours of news, the media were starting to take an interest in a flood in Wallington, when rumours surfaced that the wall which holds the river was weak and could collapse. As a result, residents were asked to evacuate in Fareham Leisure Centre, although most said they'd rather just go to the pub. 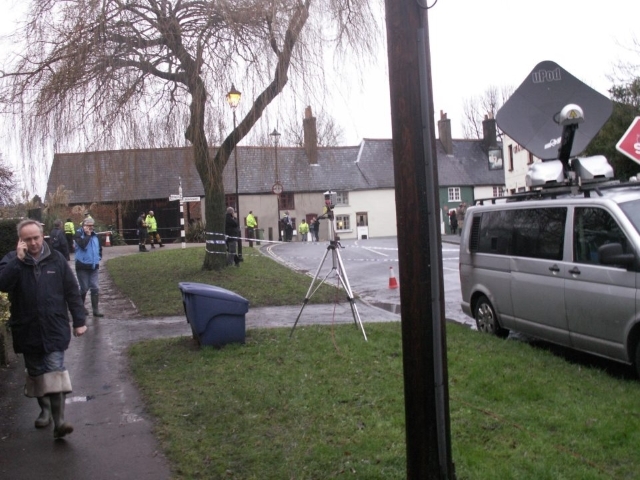 Despite that anti-climax, Sky, ITV and the BBC all broadcast live from Wallington Bridge for several hours, with Wallington being named in BBC News' top story for that day. 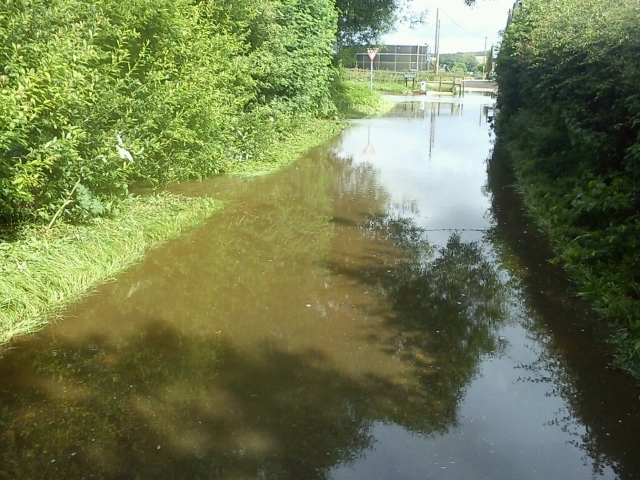 Another famous flood happened in 2000, when an overnight flood brought 4ft of water to Wallington. 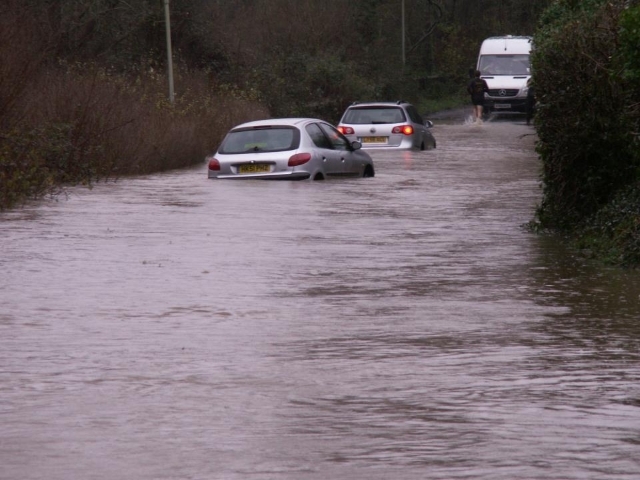 A lengthy study blamed a number of issues including blocked drains, low bridges and poor flow. 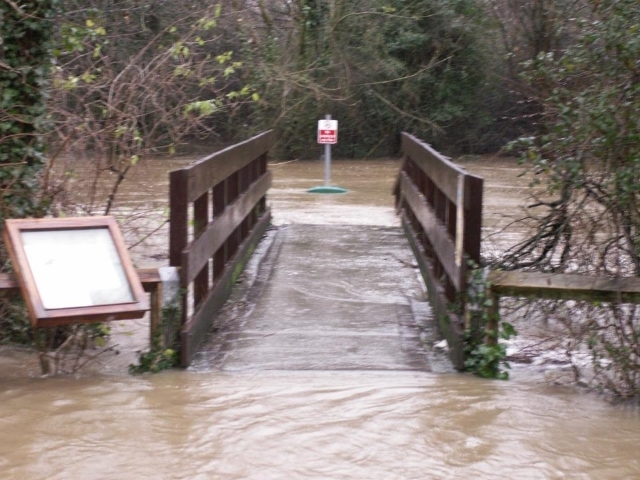 As of 2016, work to study the flow of the river seems to have been successful in diverting the flooding away from properties, but even so heavy rain continues to make for a nervous time for residents. It's not a new thing though. 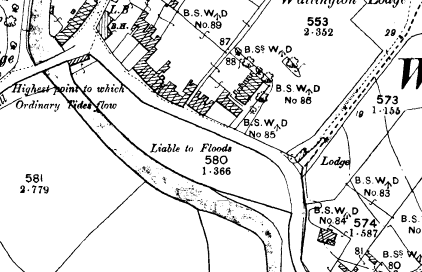 This map from 1898 has what is now part of Wallington village marked as "liable to floods" - and all the neighbours new.